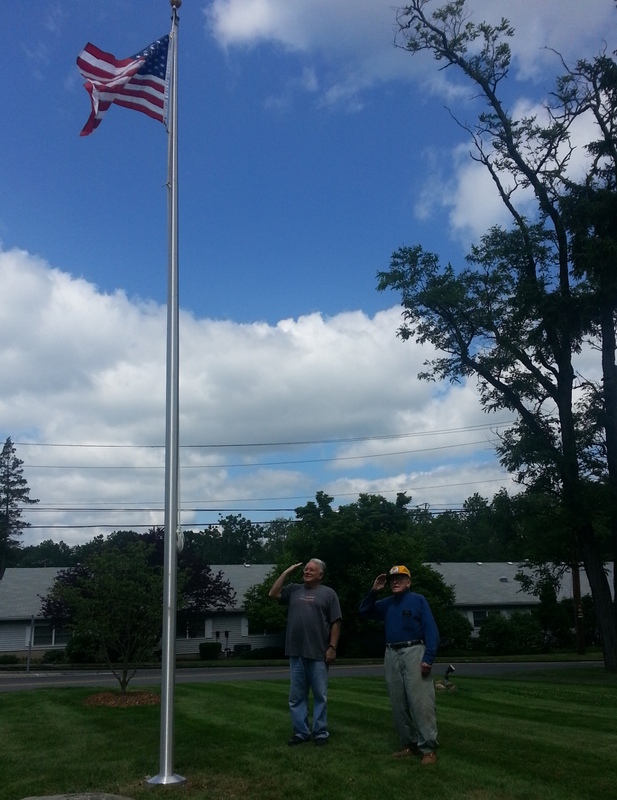 Ed Garcia and Bob Greenhalgh salute the flag on Flag Day, 2014. Our flagpole has just been replaced after being toppled during a winter storm. Just in time for Flag Day, our flagpole has been replaced. The previous pole went over during a winter storm, in part because we were flying a flag that was too large for conditions. Thanks to Ed, Walter, Mark, et.al. who helped in this effort.